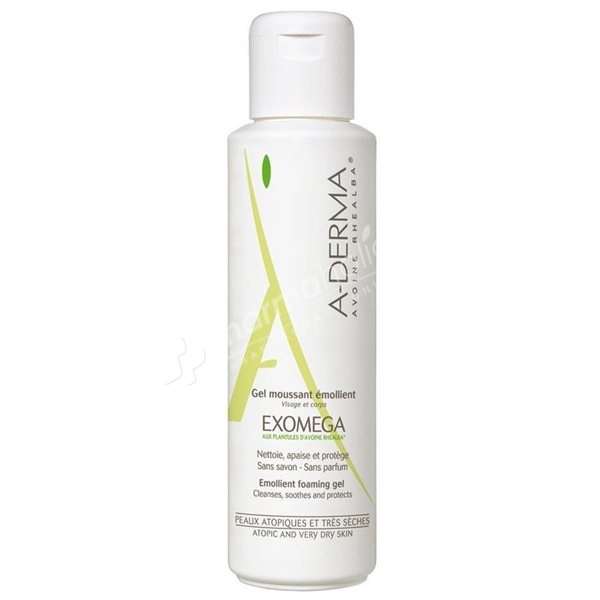 A-Derma Exomega Emollient Foaming Gel cleanses, soothes and protects the atopic and very dry skins. Aderma Exomega Emollient Foaming Gel with Rhealba Oat Plantules cleanses, soothes and protects the atopic and very dry skins. It contains active ingredients which have shown a powerful action to irritations and cutaneous dryness. Soap-free, it cleanses skin without attacking it, thanks to its very mild cleansing base. It soothes and moisturises skin, and protects it from drying out thanks to its ultra-rich components. It pH is adapted to the respect of skin's natural defences. Fragrance free. Hypoallergenic. Cutaneous tolerance checked under dermatological control on atopic skins.